Dorothy Loretta Koenigs, 96, passed away peacefully with her family by her side on January 31, 2019 at St. Agnes Hospital. She was born in Fond du Lac, June 2, 1922 to Paul J. and Apollonia Rieder Buechel. She married Richard J. Koenigs at St. Mary’s Church in Fond du Lac on July 10, 1945. Dorothy was a graduate of Fond du Lac Senior High School in 1940 and a Cosmetology School in Milwaukee. She was employed as a beautician prior to her marriage. After marriage, she and her husband farmed in the Malone area for many years. Later she was employed at the Malone Co-op until retiring. In 1989, Richard and Dorothy moved to Fond du Lac. After 64 years of marriage, Richard passed away in 2009. Dorothy was a member of Holy Family Parish. She enjoyed gardening, cooking - especially her German potato salad and baking – especially her apple and lemon meringue pies. She loved watching Hallmark movies. Everyone always felt welcome in her home. Dorothy is survived by three sons, John R. (Mary) of Tipp City, OH, Gary R. of Oconto Falls, WI, and William D. (Pamela) of Fond du Lac; seven grandchildren, Shari (Travis) Ketron of Granville, OH, Sara Johnson of Tipp City, OH, Tracy (Chris) Wills of Sparta, WI, Christy (Willy) Wedemeyer of Albuquerque, NM, Viki Parker of DePere, WI, David Koenigs of New Berlin, WI and Chelsea Koenigs of Fond du Lac; ten great grandchildren, one great great granddaughter and one sister, Thelma Adams of Fond du Lac. Dorothy was preceded in death by her husband, Richard, her parents, one brother Raymond (Bennie) Buechel and one brother-in-law David Adams. 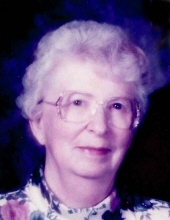 Visitation: Dorothy’s family welcomes relatives and friends for a time of visitation at Holy Family Catholic Church, 271 Fourth Street Way, Fond du Lac, on Thursday, February 7, 2019 from 3:00 to 3:45 PM. Service: A Memorial Mass of Christian Burial will be celebrated at Holy Family Catholic Church following visitation on Thursday, at 4:00 PM. Dorothy’s family would like to especially thank Dr. Maruska for the decades of wonderful care given to her. The family also thanks the staff of 5 West at St. Agnes Hospital for their compassionate care. Memorials in her name can be directed to Holy Family Parish. "Email Address" would like to share the life celebration of Dorothy L. Koenigs. Click on the "link" to go to share a favorite memory or leave a condolence message for the family.